This is our “Insurance” package service. 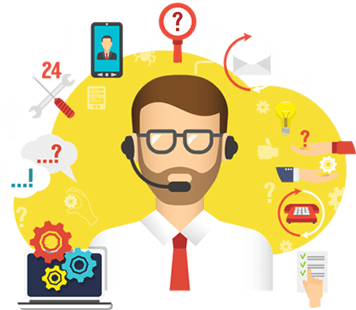 Managed IT services are designed to enhance your business IT and our IT solutions is the most cost-effective way for IT support. We will pro-actively manage your systems and fix them before they become an issue for the business leaving you to grow the business safe in the knowledge that your IT is managed. Should any IT issues arise, our Perth IT support technicians are only a phone call away. expertise to make this a seamless experience. The winning formula for business continuity today is a combination of on and off-site backup protection. Utilizing a hybrid approach improves fault tolerance, while reducing the reliance on bandwidth speed. It is imperative businesses today employ a hybrid approach to ensure data integrity should a disaster or interruption occur. You’re likely using various tools, such as Word, Excel, and Outlook, to get work done on a daily basis. A lot of companies are already benefiting immensely from these tools – giving them the ability to complete tasks and communicate with others in the most efficient manner. Now imagine having easy access to all of your emails and files wherever, whenever you want. Inspired IT initially came on board to help us with a few day to day issues we were having with Office365. We have since engaged them for larger projects and are continually impressed with their knowledge, professionalism, and friendly can do approach. We engaged with Inspired IT to migrate our email services to Office 365. The migration was a seamless transition and we had minimal downtime for our staff which was crucial. Service calls are answered by a real person within 3 rings. Email and connectivity issues are resolved over the phone. of onsite service calls are resolved without a second visit. Want to protect your business from downtime? Leave your name and email in the message box below. Or you can call us at (+61) 08 6142 8221. © 2019 Inspired IT Pty Ltd. All rights reserved.